Your Starhub digital voice is working fine but only the phone in the same room can be used? Will this work if i just plug the phone jack from the modem straight into the phone points with a telephone cable and without using a splitter? 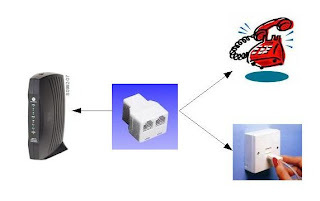 The splitter will allow you to use a phone on the same telephone point. If you don't need a phone there, then you simply plug it straight in.